Situational awareness: It's been a year since the FCC voted to repeal net neutrality regulations. Three recent moves by Facebook suggest the company is looking to aggressively expand its business beyond selling mostly display ads — the visual ads that appear in between "Stories" or as sponsored posts on Facebook and Instagram, Axios' Sara Fischer reports. Why it matters: Executives have been warning investors for months that these ads are nearing a growth ceiling on its main app. And analysts say engagement on Facebook's main app (where it sells most of these ads) is declining, which puts even more pressure on the tech giant to quickly find new sources of revenue. 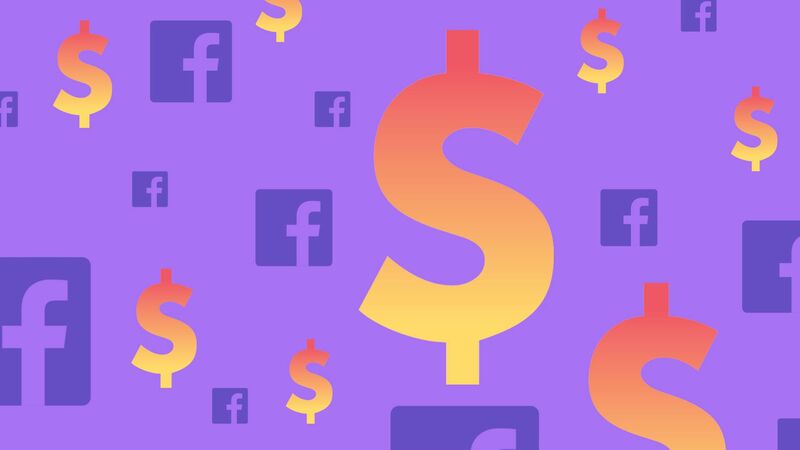 What's new: Facebook has invested heavily in finding ways to increase display ad revenue on its other apps, primarily Instagram. But the latest reports suggest Facebook is also dabbling in a bunch of new revenue streams, including new types of advertising. Facebook announced Thursday that its video platform "Watch" has 75 million daily visitors. That's a small number given how big Facebook's total audience is, but Facebook claims that small number is highly engaged. If true, this will help it sell more "brand" ads as compared to display ads that pitch a specific item. The tech giant is also testing ads in its search results and Marketplace, in an effort to compete with Google for search ad revenue, per TechCrunch's Josh Constine. Facebook has long dominated the display ads business, controlling roughly 40% of the entire U.S. display ads market, while Google controls nearly 80% of the U.S. search ads market. Facebook is hoping to cut deals with premium cable channels, like HBO and Showtime, that would allow users to watch content from those channels on Facebook's apps. It might also sell subscriptions to those channels through Facebook, with the platform getting a cut, Recode's Peter Kafka reports. The big picture: Perhaps the reason Facebook is looking to find new ways to monetize within its main app is because display ads rely on user engagement, and that's declining overall on Facebook's core app, per Pivotal Research Group's Brian Wieser. Yes, but: While Facebook's display business may have hit a ceiling, the company still has the potential to be successful in launching new revenue streams. J.P Morgan analysts yesterday named Facebook its “best idea” among internet stocks for the coming year, per MarketWatch. Our thought bubble: Facebook has had a rough year. It's battled intense regulatory scrutiny in the U.S. and abroad, and it's recently had the worst stock performance in its history. But Wall Street is incredibly focused on core financials. If Facebook can keep things going on that front, investors may well shrug off the other concerns. A range of big-name hardware makers are said to be looking to add manufacturing options outside China as a hedge against any further slide in Sino-U.S. relations. The move comes amid concern that tariffs could substantially raise the cost to consumers of Chinese-made electronics — and China makes most of the computers, phones, TVs and other electronics sold in the U.S.
ICYMI: Bloomberg reported earlier this week that Apple's suppliers would consider a move if tariffs hit 25%, but could probably afford to stay with China if tariffs remained at 10% or less. Nokia said on its earnings call that it would also look to diversify its manufacturing base in order to supply the U.S. market with non-China-made networking gear. The bottom line: GoPro made headlines earlier this week when it said it would move most manufacturing of U.S.-bound gear outside of China by next summer, but it's fair to say everyone in this situation is looking at their supply chain. Yes, but: Companies who move manufacturing outside of China for cost reasons are likely to move it to places like Vietnam that have similarly low-cost labor and a ready manufacturing base. Don’t look for U.S.-made iPhones any time soon. Our thought bubble: Even if this trade war is settled, China and the U.S. appear headed for more tough head-on competition, increasing incentives for companies to either relocate or have a solid Plan B. Job site Indeed.com released its 2018 Silicon Valley hiring trends report, which showed a nearly 13% increase in jobs between November 2017 and November 2018. Why it matters: Tech is a key engine driving the economy both nationally and in the San Francisco Bay Area. Apple had the most job listings in Silicon Valley, accounting for more than 4% of all listings in the region, followed by Amazon, Walmart (!) and Google. Amazon had the second most tech job listings in San Francisco, ahead of Twitter and behind only Salesforce. Software test engineer was the most popular job category, followed by senior product manager and quality assurance engineer. Engineering posts made up half of the tech jobs, while product roles accounted for another quarter of listings. We suggested last summer that destination VR might be the answer to virtual reality's chicken-and-egg problem. Then again, maybe not. IMAX said in a regulatory filing Thursday that it plans to shutter its remaining 3 VR centers by early next year. Yes, but: There are still plenty of other efforts in the U.S., China and elsewhere, including The Void. It's Friday, which means few scheduled events and a high possibility of news dumps. Jerry Shen, the longtime CEO of Taiwanese PC maker Asus, is stepping down as the company begins a major review of its business. The Software & Information Industry Association named Jeff Joseph, a veteran of DC tech trade groups, as its new CEO, succeeding founder Ken Wasch, who is retiring at year's end. Pokémon Go creator Niantic is in the process of raising $200 million in funding at a $3.9 billion valuation. The Wall Street Journal gets credit for the scoop, but I think I deserve credit for a chunk of that valuation.